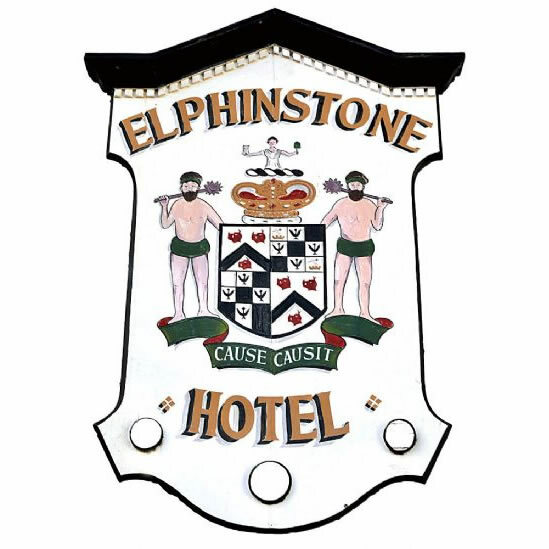 Below is a brief history of the history surrounding the 'Elphinstone Hotel' as it is known today. With grateful thanks to the writer Mr B Lambie. The old Pedlars’ Way from Edinburgh to the South West of Scotland is one of the oldest roads in the country, with Biggar as one of the principal stopping off places for all who travelled thereon Kings and Queens, Cadgers and Hawkers. 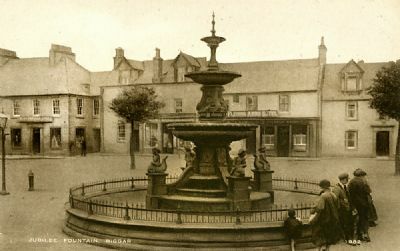 One of the earliest innkeepers catering for travellers in Biggar, whose name has been recorded, was one Bessie Bertram who provided a good nights "belcher" to King James IV in 1504. The King returned on many occasions and was entertained sometimes by a piper and a fiddler and once he gave …. to a daft woman who sang to him. Where Bessie's hostelry was is not known though perhaps it was here where the Elphinstone now stands. The Elphinstone has been the principal hostelry in the Burgh of Biggar for a great many years and when some outbuildings were demolished in 1947, a groat of Queen Elizabeth I of England was found, perhaps dropped by a visitor from South of the Border! By the end of the eighteenth century, the Inn was in the hands of the Wilson family and, because Biggar's feudal superiors, the Flemings of Boghall Castle and Cumbernauld, had been created Earls of Wigtoun, it was called the Wigtoun Arms. 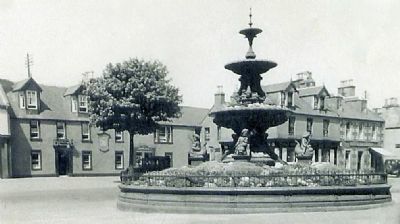 Later when the Biggar estates of the Flemings passed to to their descendant Lord Elphinstone, the name changed to the Elphinstone Arms, later the Elphinstone Hotel, and affectionately shortened further by the locals to "The Elph". Two notable arrivals at the hotel on 17th May 1787 were the friends of Robert Burns, Captain Robert Riddell and Captain Francis Grose the antiquary, with his servant Tom Cocking. The prospect from the room window pleased me and I caused Tom make a drawing of it. It consists of the Market Cross, ruins of the Regality prison and a prospect of the distant countrie. In the 1830's and 40's the inn was a principal posting house on the route, cross country from Edinburgh to Carlisle. Horses on private carriages had to be changed regularly; every twelve miles or so, the postboys from each change house returning home to base. The Elphinstone generally, received horses from Crawford Inn in the south and their postboys went eastward, usually to Noblehouse. One Ducal family which posted regularly were the Buccleughs of Drumlanrig who moved themselves, family servants and possessions to and from Dalkeith Palace each year. The Duchess was an important figure at Court, being Mistress of the Robes to Queen Victoria for many years. The coming of the railways ended this side of the business, though hiring continued on a local scale till motor cars became common and the hotel's hearse survived till the 1930's. Before the station opened at Biggar, an omnibus ran from the Elphinstone to the main line at Symington, three miles distant. Another local licensee started in opposition - so the fares were reduced. Week by week they dropped till at last the opposition announced free rides to the station. The Elphinstone had the final word, Free rides and a glass of whisky. Thereafter business was secure till the opening of Biggar Station did away with the need! About this time the Wilson family ended their connection of perhaps a century of more with the Elphinstone, and a new proprietor, William Middle ton came in May 1859. He had been at the Hartree Arms, Symington which later became the Symington Station House. Under his management the inn prospered and was the scene of many important local functions, dinners of the Farmer's Club, Horticultural Society, ordinations of clergymen etc. One such night long talked of afterwards was the complimentary dinner to William Hunter, author of "Biggar and the House of Fleming" in 1862. Also at this time the inn entertained the Royal Company of Archers on several occasions. These noblemen and gentlemen, bodyguards to Queen Victoria came every few years to shoot for the Biggar Jug (as their successors still do.). At that time they arrived on the early train, marched up the High Street with their pipers to breakfast at the Elphinstone, shot for the Jug and then went off by train to Peebles and Selkirk to shoot for trophies there. The Wedgwood Cheese Dish and Coffe Jug of similar pattern which graced the breakfast table on these occasions are now in Biggar Museum. A distinguishing feature of the inn in those days was an archway (Situated where the public bar now is), which gave access to the stables. Here was the booking office for carriage hiring. 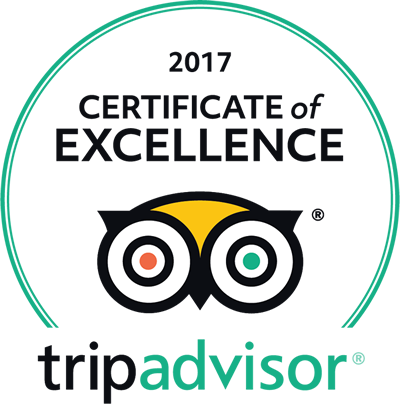 It survived the occupancy of the Hare family but was built up in the 1930's when the Harvies painted the facade green and cream. Following the Harvies came the Cochranes, Dilworths and the Barrie family. In 1970 the frontage was given a face-lift to conform to the Civic Trust Street Improvement Scheme and was restored to black and white. The heraldic sign introduced by the Harvies was repainted by A Stevenson with the arms of the Elphinstone Family.